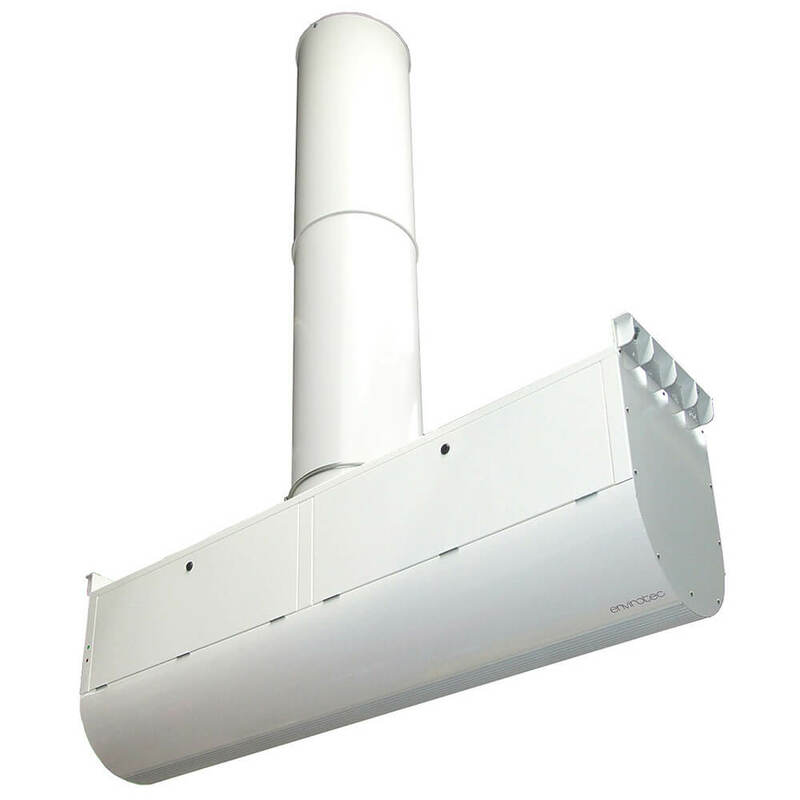 An energy efficient Air Curtain solution designed for free-hanging installations. Redundant high-level warm air is drawn into a vertical duct and carried down to the Envirotec Destratification Air Curtain where it can be used to heat the air at the building entrance. Utilising this otherwise redundant high-level warm air will reduce electrical usage when compared to conventional air curtains. When required; additional supplementary heating is included within the unit.